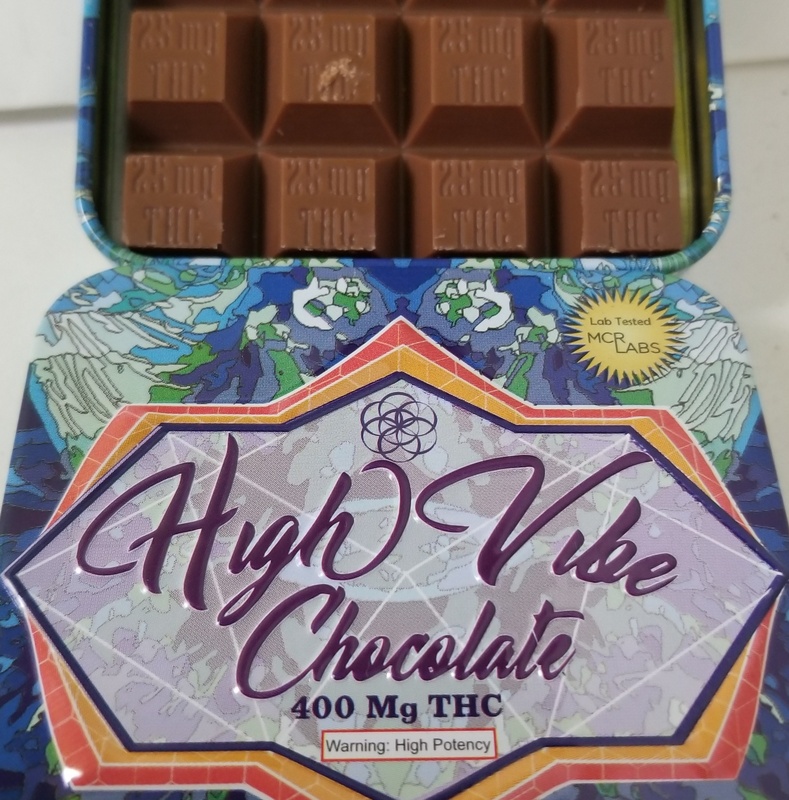 400 mg Belgian chocolate cut into 25mg squares made by high vibes! Be careful at first, once you start blasting off there is a good long high. Love it! tombrunner91 - Posted March 22, 2019, 1:49 p.m.
Definitely worth the money..if you dont smoke a lot one piece at a time!! Chuze - Posted March 15, 2019, 11:19 a.m.
BIGtuna - Posted Dec. 19, 2018, 9:31 p.m. Personally I loved them! I ate one square the first time and I was pretty stoned!! I bit in half the the rest of the times and it was perfect! There is a warning on the tin that says High Potency! facialrn - Posted Dec. 10, 2018, 5:47 p.m. WARNING!!! VERY INTENSE!! Not suited for medicinal purposes. Use at your own risk. Horrible experience. Posted Sept. 11, 2018, 8:18 a.m. WARNING!! VERY INTENSE!! Not suited for medicinal purposes. Use at your own risk. Horrible experience. Posted Sept. 11, 2018, 8:14 a.m.